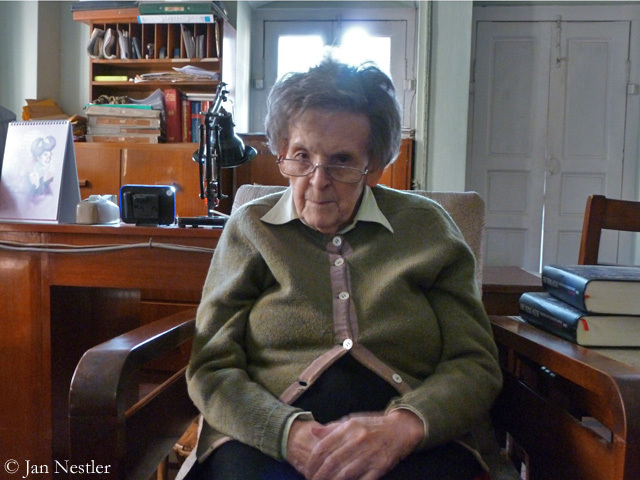 It was Salisbury who in the 1990s convinced Elizabeth Hawley, the legendary chronicler of mountaineering in the Himalayas, that it would be a good idea to digitalize her archive. 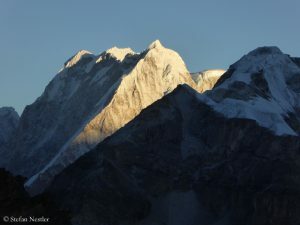 Since 2004 the Himalayan Database has been available electronically. 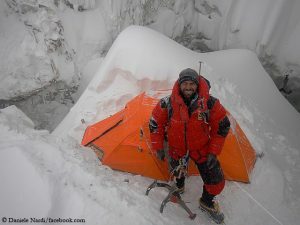 Today it includes information on more than 9,600 expeditions to over 450 mountains in Nepal, more than 70,000 mountaineers are immortalized in the archive. 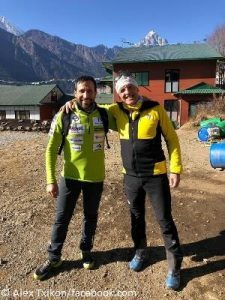 For anyone who wants to delve deeper into mountaineering on the highest mountains in the world the database is a true treasure chest. 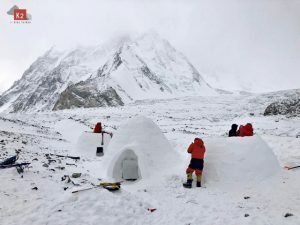 “It is a great wealth of information – no matter if you just want to know how many people have been so far on Mount Everest or Annapurna I or if you want to plan a climbing route,” Billi Bierling wrote to me in October. “The Himalayan Database answers all these questions.” In 2016, the German mountaineer and journalist had replaced the legendary chronicler, who is now 94 years old, as head of the database. 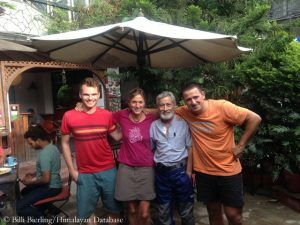 On the occasion of today’s possibility to free download the archive, Billi and the other members of the Himalayan Database team – the Nepalese Jeevan Shrestha, the Frenchman Rodolphe Popier and the German Tobias Pantel – point out to the mountaineers that “collecting the data is impossible without your help”. 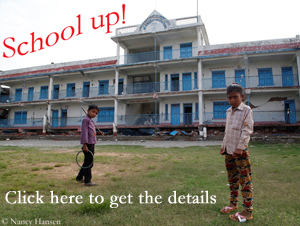 So if you are planning an expedition in Nepal, please register online for the database. That’s not too much to ask for as a small return for an open treasure chest, is it?